Why NETGEAR's NeoTV 550? Bring all your digital media to your TV. Play movies, music, and photo collections stored on your networked devices (such as PC, Mac, and network attached storage). The NeoTV 550 also provides easy access to files stored on your USB drives and SD cards. Features: Automatically searches and scans your networked and local devices, and organizes your movies, music, and photos. Live Browsing provides an easy and fast access to your media collection. Built-in media card slot for convenient access to personal photos and videos (AVCHD compatible). Compatible with a wide range of SD file formats including. Blu-ray with menu, navigation and BD-Live support1. Delivers your movie sound tracks in Hi-Def 7.1 (Dolby, DTS & LPCM compatible). Improved video and audio navigation using movies and CD covert art instead of file names. Custom remote with shortcuts designed for quick selection and ease if use. Disclaimers: 1Blu-ray experience requires an external USB or eSATA Blu-ray drive. Package Contents: NeoTV 550 (NTV550), Infrared (IR) remote control, Two (2) AAA batteries, Ethernet cable, AV cable, Note: HDMI cable not included, Quick install guide, Resource CD, Power adapter (localized to country of sale). Listed Price $96 most sell for about $40 you pay $36.99 plus get a $10 Rebate and Free Shipping. Listed price $59.99 No Rebates Needed, Works with both 802.11b and 802.11g devices. Simple to install. Netgear Skype Wifi Phone Pre-Order Available! The Netgear Skype WiFi Phone lets you walk around freely and make and receive Skype calls anywhere you have access to an open WiFi network. It is now available for pre-order at Amazon. Also, when you pre-order, you'll get a free 30 minutes of SkypeOut credit. I can't wait to get my hands on one. NETGEAR Skype WiFi Phone now available for purchase !!! NETGEAR has started accepting preorders for the much anticipated SKYPE WiFi Phone. 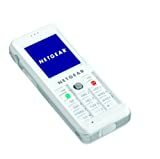 I signed up a while ago to find out about the release info about netgears skype phone...from CES...its available for pre-order. check out the price and ship date. Netgear Skype Phone Available for Pre-Order! Amazon has a Netgear router and pc card for $4.49 after rebate. Price drop on the Netgear MR814 802.11b Wireless 4-Port Cable/DSL Router to $14.99 after $10 rebate (expires 2/28/05).